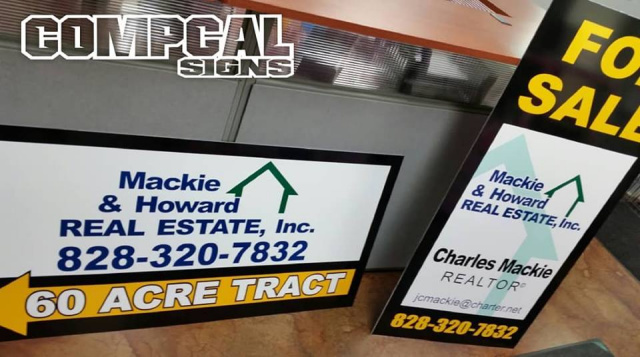 If you own a local business and need a large sign to promote the location of your business, we can help you with that. 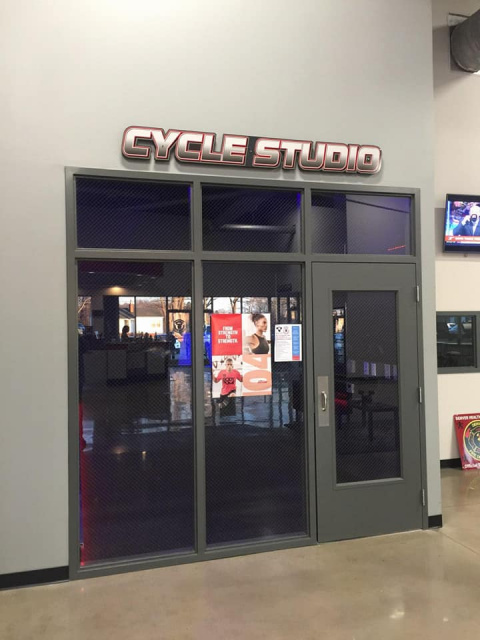 We can sometimes reuse existing signage and refresh it with a new wrap or we can provide you with brand new substrate for an existing frame or a building sign substrate. Size options are almost limitless. Contact us for your special sign project. 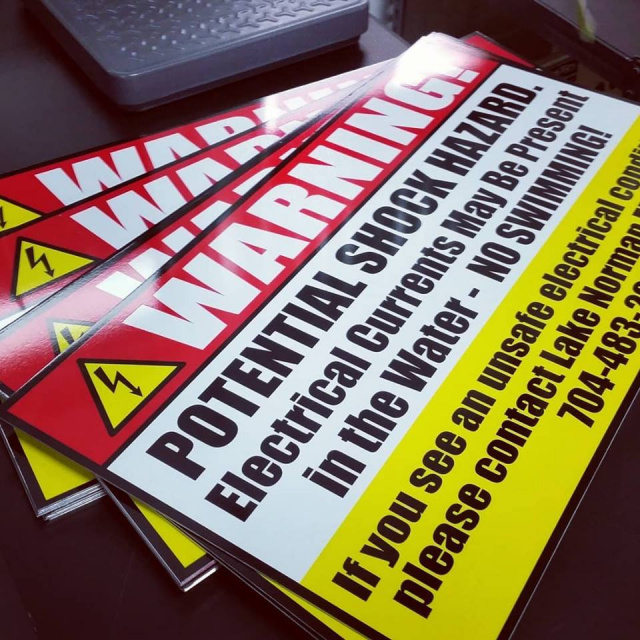 Does your business require some custom made warning signs or informational signage? We can custom make small signage just for your business. Any size thinkable we can make. Contact us for your options. 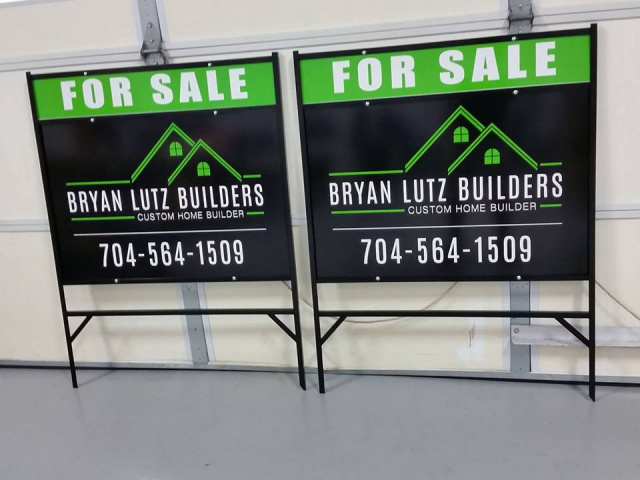 Pre-made sign kits are economical and quick to install. They are perfect option for the do it yourselfer. These kits come with the full frame and substrate. Available in a wide range of sizes and are very budget friendly. We can print your graphic, apply it to the substrate and then the frame can be assembled on site. 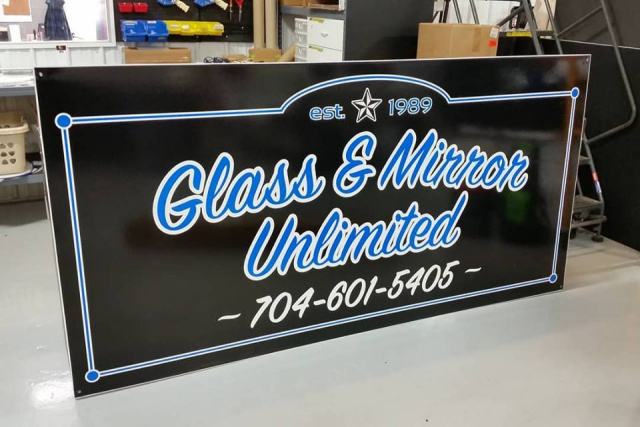 Contact us today for your options on one of these economical sign options. 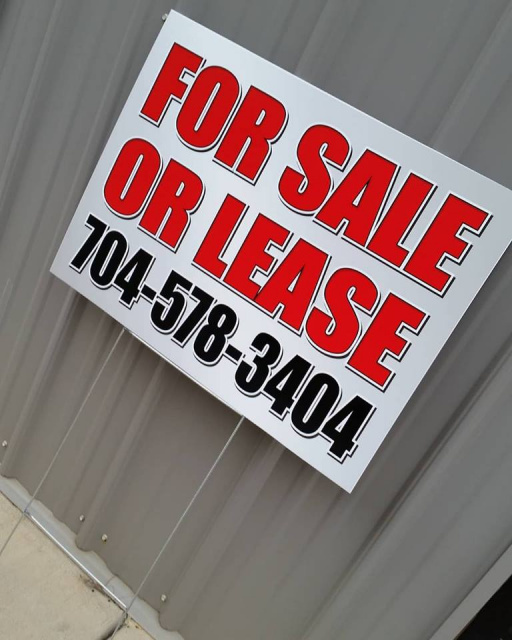 Yard Signs are the most popular sign option for short term use to promote a Yard Sale, a business special, a new business, new services, or any number of uses. We can do just one sign or multiples of 5, 10, 20, 50, 100 or more. Let us know your budget and we can provide you with the best option for your budget. 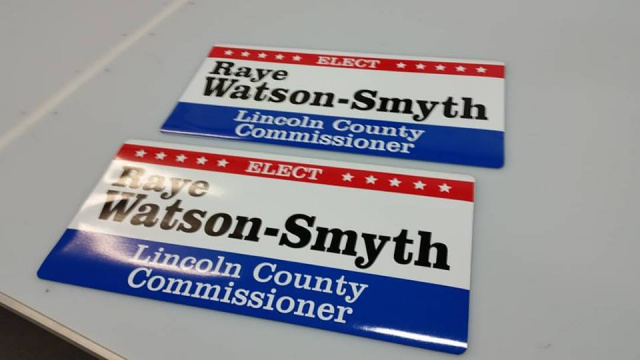 Typical Yard Sign size is 18 inches tall x 24 inches wide. Full Color printing is available for any quantity. Single or Double Sided as well. Metal Frame Signs are a perfect option for more semi-permanent signage. Especially for Home Builders, Contractors, Realtors, and Businesses. Substrate is changeable and can come with aluminum substrate or coroplast. Multiple size options are available. Contact us for a quote on a metal frame sign. Are you sponsoring an event that has prize money up for grabs? 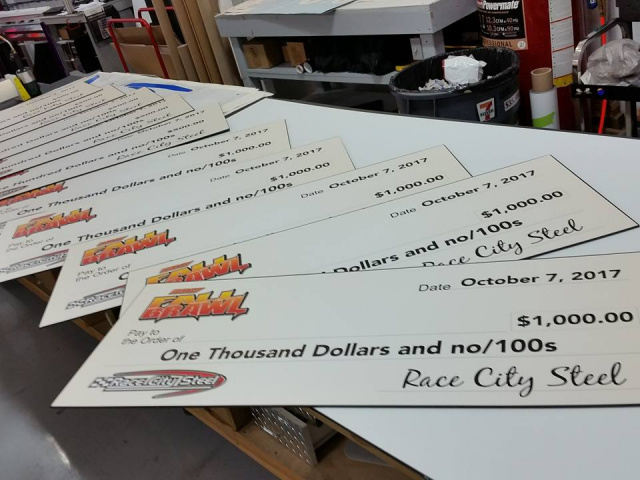 Large promotional check signs are great for photo props for those winners. These are made from Ultraboard Foam Substrate and reuseable from year to year. Custom cut signs are made from Ultra Foam Board which is a rigid but light weight material that we can have cut to a custom shape. This makes it great for creating stand off signage to give it the effect it is hovering off of the wall. 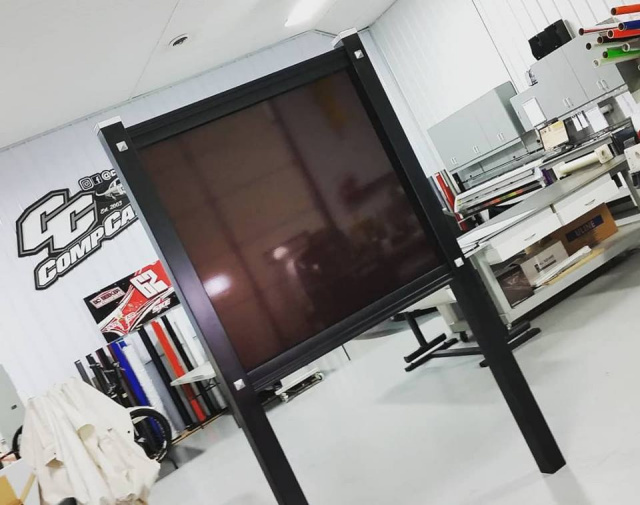 Sizes can vary and each one is custom made to the specs of your project. 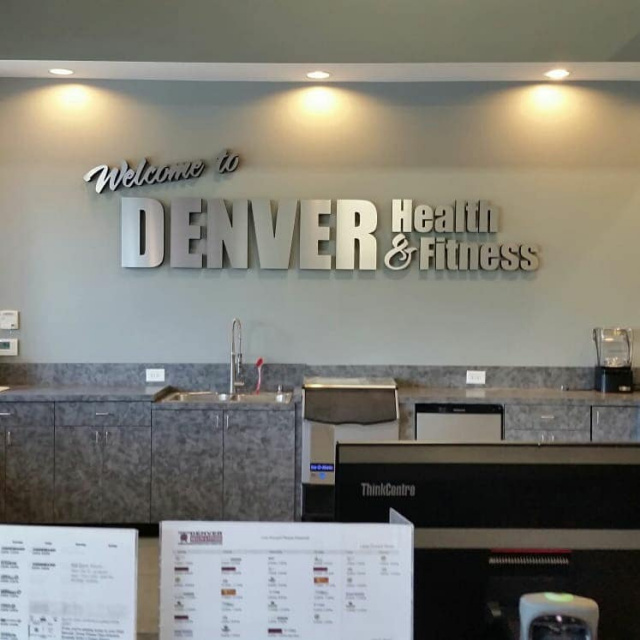 Custom Dimensional Signs and Letters are great for that upscale look to your business or restaurant. These are priced per job and sometimes per letter. Custom artwork is available. These can be quite pricey but if you're really looking for that upscale look, these are the way to go. Multiple mounting options are available. Have a new business vehicle, not ready to invest in full vehicle graphics, lettering, or a wrap? Do you have a political party you are supporting or a parade vehicle to advertise? These are a economical and reuseable way to advertise. Typical door magnet size is 12 inches X 24 inches.